Susan grew up in central Pennsylvania attending church with her family on Sundays. However it wasn’t until years later, married with a family of her own that she discovered her faith. When the radio station she listened to on her daily commute was purchased by Christian broadcasting, Susan felt compelled to listen out of curiosity. The daily programs planted seeds that now bear fruit through her writing and speaking, sharing her contagious faith and hope. Susan’s captivating journey surviving infidelity, alcoholism, and domestic abuse by trusting her unwavering faith is published in her memoir A Search for Purple Cows, A True Story of Hope. Her testimony is a powerful reminder that God is with us in our trials and that He still is the God of the impossible. Susan lives with her family in southern New Hampshire. She’s a proud mom, wife, and stepmom. Susan Call is an author and speaker whose passion is encouraging contagious hope and inspiring faith-filled strength to overcome life’s challenges. Susan’s memoir, A Search for Purple Cows shares her remarkable story of betrayal, abuse, finding faith, the power of forgiveness, and the joy of redemption. Susan is an encouraging, inspirational speaker bringing to life scriptures through her testimony, modern day parables and everyday life analogies equipping her audiences with hope to face the challenges of life. Her topics can be adjusted for keynote, breakout session, or multi-message retreat packages. Additionally, Susan speaks to a wide array off audiences from church groups, community or domestic abuse advocacy groups, to college and youth groups tailoring the messages based on the demographic of her audience. Has life ever surprised you, taken a turn, not followed your plan, or simply turned out differently than you hoped? Susan shares powerful equipping truths to empower her audience no matter what the source of the challenge. Through use of her testimony, she provides a vivid reminder that we’re never alone and God is still the God of the impossible. Influenced by the world around us, media, family, even well meaning friends, women are often caught defining themselves by feedback from these many sources. Once bullied in high school, Susan shares how we can adjust the influences we allow to shape us. She equips others to transform their self definition to base based on scripture, a liberating freedom from what the world says we ought to be. Has someone else’s lack of integrity or kindness left you wounded, nursing a broken or heavy heart? Too often we’re left carrying the weight of an injustice we didn’t commit. Susan shares a freeing message on forgiveness that equips her audience to forgive even what seems to be the impossible. Speaking from her own experience of a deep betrayal, Susan found the ability to forgive her former husband and a close friend after their affair and marriage tore Susan’s world apart. You’ve always wanted to write a book but it just seems too daunting. Susan shares effective time and project management skills to equip writers for their journey. Included in this session are effective organizational skills that transform the daunting task of creating a manuscript into practical, achievable steps. Susan studied in Upplands Väsby and at Uppsala University, Sweden. She speaks conversational Swedish. 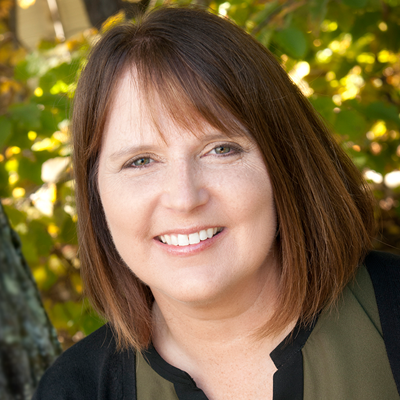 Susan has experience speaking at various churches, women’s retreats and conferences. She has several years’ teaching in small group settings in a wide range of topics including boundaries, divorce recovery, parenting support among other topics. On staff for Carol Kent’s Speak Up Conference for speakers and writers. Proverbs 31 Ministries She Speaks training conference for speakers and writers.